New Zealand pinot noir is joining the fame game with vineyards being name-dropped in the most glamorous of circles. There is a compelling association between Hollywood and the meteoric ascent in popularity of wines from New Zealand, now juxtaposed as a chic destination for the eco-conscious avant-garde. New Zealand born actor Sam Neill, with his exemplary Central Otago vineyards and auteurist pinot noir Two Paddocks is spreading his wine liberally among Hollywood friends, as well a luring the cognoscenti to Queenstown, the picturesque epicentre of viticulture in the far- South Island. Director Peter Jackson has also propelled a pilgrimage to New Zealand thanks to his portrayal of “Middle Earth” in Lord of the Rings. Much of the film was shot in the rugged Southern Alps, with its breathtaking precipices, glacier-tortured plateaus, chasmic river valleys and vast shingle beds. Should you want to follow the Lord of the Rings trail and see ‘Middle Earth’ visit www.amazingnz.com. part due to the movie Sideways. The poignant yet humorous interplay between the main characters, Miles and Jack, centers on an obsession with pinot noir as they tour the wineries of California. Their story impregnated the consciousness of the wine drinking masses, particularly so in America. All this has prompted me to complete the second installment on benchmark New Zealand pinot noirs covering the South Island. Beginning with Central Otago, arguably New Zealand’s most exciting and recognized pinot noir region, the magnitude of potential is now becoming self-evident. To name a benchmark in this region is difficult, with copious first-rate, artisan producers alongside new and remarkably ambitious developments. The new players are benefiting from the trial and errors of clone and site selection that the more established producers have endured. There are now many subregions in Central Otago with a complex and diverse blueprint of microclimates and soil structures engendering two tenors: multi-subregional blends and terroir expressive individual vineyards, with some producers utilizing both. All, however, are blessed with profuse sunlight during the ripening period, with sundown as late as 10pm, the temperature then plummeting from the mid- 20s to around 14 degrees Celsius, promoting high natural acidity and concentrating fruit flavors. Felton Road produces the most consistently profound pinots in the region, if not the country. Then there is Rudi Bauer at Quartz Reef, the most altruistic winemaker in Central Otago, relentlessly championing the region, despite his wines being atypical and ethereal. Unquestionably, Dean Shaw at the Central Otago Wine Company is the most influential in the region, demonstrating extraordinary dexterity in achieving 33 idiosyncratic wines, including Two Paddocks. However, in my opinion, the unsung hero of Central Otago is Chard Farm and its owner Rob Hay, who pioneered the region, establishing vineyards in 1987. Spectacularly perched on a precipitous bluff at the base of the Remarkable Mountains in the Gibbston Valley, it was, at that time, the most southern vineyard in the world. Hay has continued to be at the forefront of the region’s evolution, deftly adapting to the progressive transitions in viticulture, emerging sub-regions and market changes. While producing impeccable and distinctive single vineyard pinots – “Sugarloaf” from Lake Dunstan, “Vipers” from Parkburn, “the Tiger” from Gibbston Valley, “Finla Mor” from Lowburn – Chard Farm is unequalled in producing good value for money pinot noir, something the region is yet to come to terms with. There is no better pinot noir “fix” than Chard Farm River Run (HK$298), with the added bonus that Hong Kong is lagging behind new releases by a couple of years. The currently available 2003 is drinking perfectly: bright perfume of ripe cherries with stewed plum notes among toasty gun-flint smokiness, signature Gibbston Valley tobacco characters and gravelly granite minerals. Its palate is juicy sweet with ripe cherries, a touch of rhubarb and prunes, building in warmth and spices, its texture silky smooth with nettle, granite and a sappy, savory, herbal farewell. A lot of pinot noir for the money, and possibly the best value pinot noir in all New Zealand. Available from Boutique Wines. Tel: 2525 3899. Also visit www.chardfarm.co.nz. Moving up the island to the North Canterbury region and the Waipara Valley, 30 minutes drive north of Christchurch, the standout is Pegasus Bay. Pegasus is unrivalled in the region in all respects: dedicated and progressive, distinctive quality and complexity, with a particularly favorable vineyard site, protected from the cooling winds of the Pacific Ocean and enjoying gravely soils with smooth stones left by an Ice Age glacier. I have always identified Pegasus Bay as “Pommard” in style, having firm, sappy tannins and a black peat earthiness that I liken to the earthy nuances of single-malt whiskey. However, I have noticed the wines evolving over the years, becoming more integrated and refined, perhaps in part due to older vine age and superior winemaking. The 2003 Pegasus Bay is resonantly savory, meaty, tightly focused with earthy (black peat) and ferriferous- rusted iron minerality. Among dark cherry fruit lurks seductive oak, coffee grinds and dark Velrhona chocolate. The palate is lively and briary with a sweet saturated blood plum and black cherry mid-palate layered in chocolate, with oscillating tangy acidity and spiciness. Its finish is black olive, lingering and steely, a serious pinot, yet only HK$388. 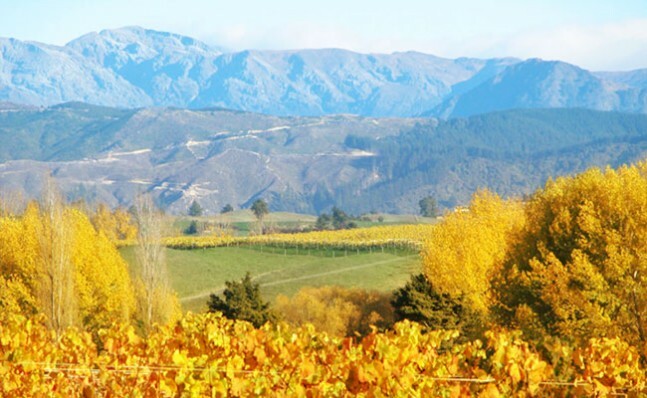 At the top of the South Island, Nelson is somewhat overshadowed by its gigantic neighbor Marlborough, the rice bowl of grape growing in New Zealand. However, where it cannot compete in volume, it has carved out a formidable niche for highly defined aromatic whites and pinot noir that has the extra dimensions of sappiness and magical elegance that can often be lacking in the mono-dimensional fruit bombs of, dare I say, Central Otago. And there is none more elegant than Neudorf Moutere Pinot Noir, the dedicated and passionate owners Tim and Judy Finn coaxing the essence and metaphysical “pinosity” out of pinot noir; the Antipodean equivalent of Chambolle-Musigny, and currently my favorite wine of this style in the Southern Hemisphere. The 2004 Nuedorf Moutere Pinot Noir is extravagantly perfumed with wild strawberries and has a black cherry kirsch-like concentration; hedonistic in complexities of tobacco leaf, rosemary and lavender, espresso coffee, iron ore, hints of wash-rind cheese (indigenous yeast ferment characters) and harmonious bacon fatty, toasty charred oak. One could easily just nose this wine for hours. The palate begins with gentle warming spiciness and herbal nuances, chased by tart cherry and stewed rhubarb, building towards a chewy mid- palate with indelible sweet and sour cherry and seesaw-interplay between richness and sappiness (real pinosity). The wine evolves to savory, meaty, wet clay and gravelly mineral elements, checked by superfine grained tannins with green tea nuances and a nettley acidity farewell. It’s supremely silky- smooth and charming. Boutique Wines is awaiting its arrival. It is available in Singapore at The Cellar Door, www.thecellardoor.com.sg. Also visit www.neudorf.co.nz. I had intended to include Fromm La Strada Pinot Noir www.frommwineries.com, arguably the most serious pinot noir producer in Marlborough, however the wine I reviewed is out of stock with no arrival date yet. Available at Nathan Fine Wines. Tel: 2321 1169. The 2003 is available in Singapore at Ponti Wines, www.pontiwinecellars.com.